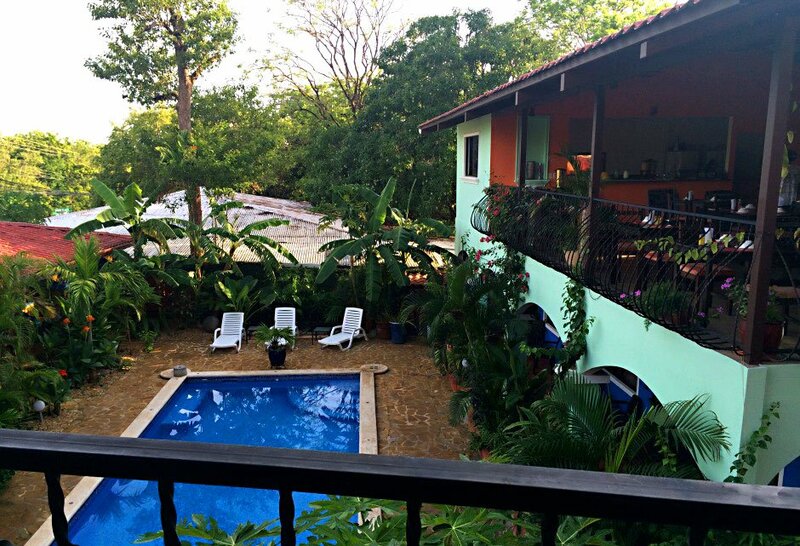 The next time we visit Costa Rica, we know where we’re going to stay – the Conchal Hotel. We’ve stayed in touch with the owners and recently caught up on how well they’re continuing to do. This article was first featured on Amalia’s personal site, AmaliaVida.com, and is now moved here and updated with the latest about the Conchal Hotel & Papaya Restaurant. It was one of those last-minute bookings. Looking back now, we realize that we were lucky they had room for us. After all, we came upon what is a renown restaurant and boutique hotel in the area. 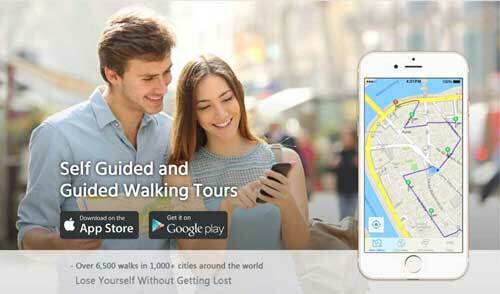 We can vouch from experience now – it is absolutely wonderful. And it’s not just us who think so. 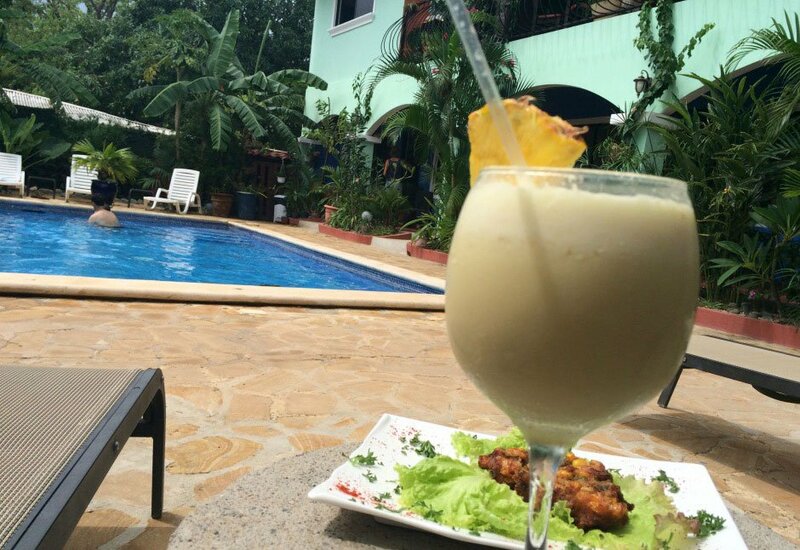 Here it was early June, low season in Costa Rica, yet the day we left, they were completely booked. 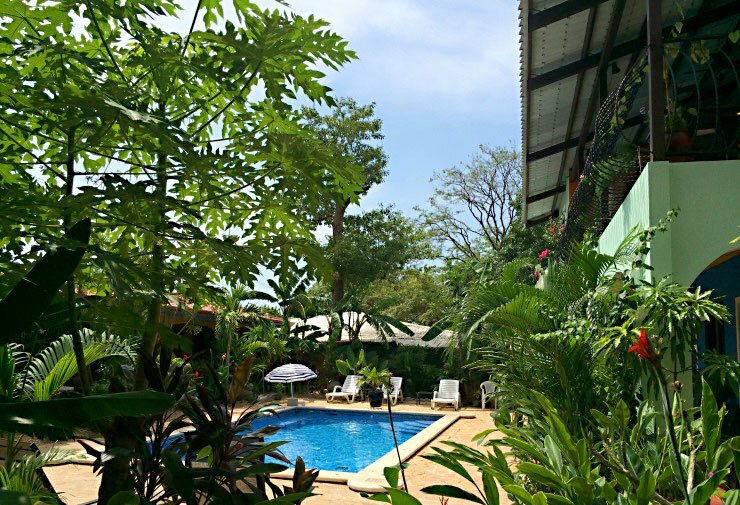 When searching the Guanacaste coast for a good little beach town and hotel, I came across the little village of Brasilito and the Conchal Hotel and Papaya Restaurant. Nestled into lush green hills that cascade down to the Pacific’s turquoise coast, this tiny fishing village can be easy to miss. What appealed to me when finding it on Google Maps was its proximity to the other, more well-known, beach towns while being less touristic. There’s Playa Flamingo, which is just a 10 minute drive north, and Matapalo which is where our friends live only a 15-20 minute drive to the south. What kept drawing me back to the Conchal Hotel online were the positive reviews. They were fantastic. 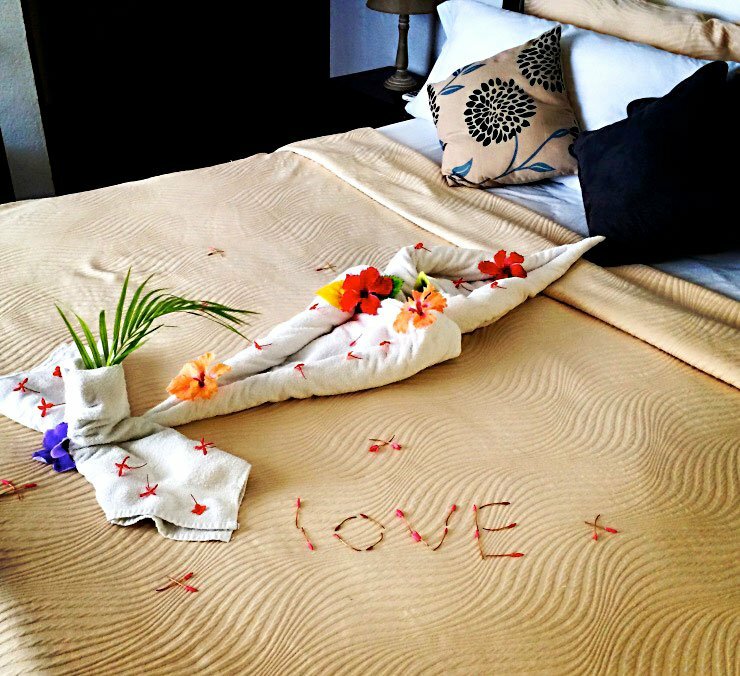 The hotel also provided accurate information, properly and warmly representing themselves and their location. While we considered another hotel that is right on the beach in Brasilito, we are so glad that we decided to stay at Conchal. The staff are warm, friendly and helpful, doing their work with care and quality. 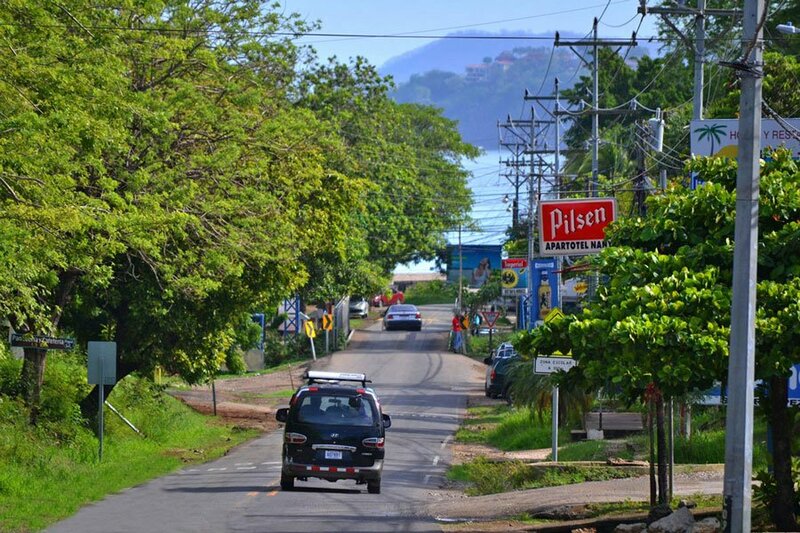 It is only a short, easy walk to the beautiful Brasilito and Conchal Beaches, and easy to access from the main road that goes through the village. When you first arrive, you are greeted by statues of Aztecs, tucked back into the tropical trees and hanging green vines that form a lush wall of plants. 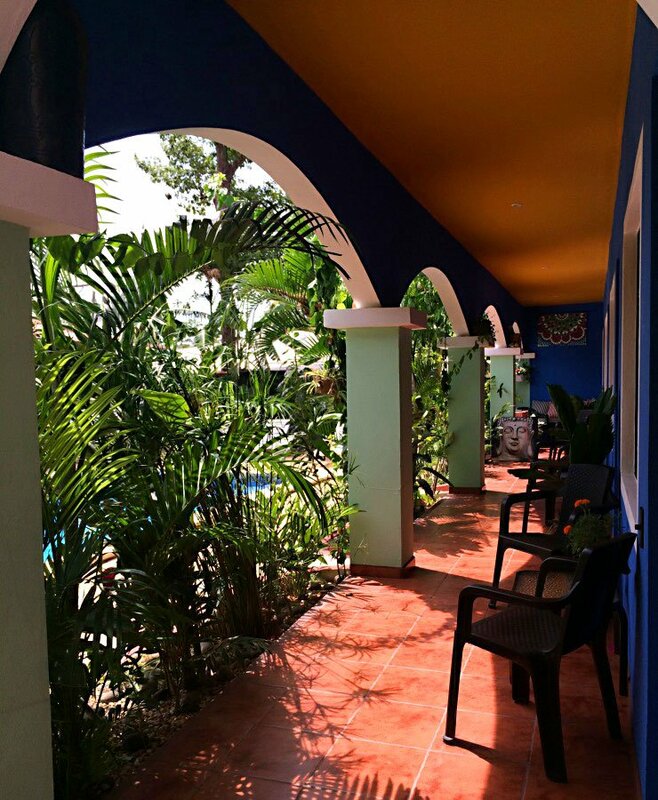 Then as you step through the entryway, you find yourself in a cozy courtyard lined with slender palms, trellis’ of flowers, and the vibrant colors of the welcoming swimming pool and the brightly colored buildings with charming balconies. The restaurant, on the second floor of the main building, is open on three sides that are wrapped with a curved railing decorated with vines and flowers. Upon check-in, we met the owner Hilda. She was so welcoming and even upgraded us to a Superior Room for no cost! Already, we were thrilled and impressed with the care they showed us. And as if that were not impressive enough, they served us each (and all future guests I saw arrive) their fresh tropical fruit mixed smoothies in our rooms, complimentary! Talk about eating like kings and queens – the Papaya Restaurant incorporates natural, locally sourced, seasonal, and organic ingredients. Hilda loves to use the best of what the region provides and adds her own creative twist on dishes. Staying at Conchal included a wonderful breakfast of fresh seasonal fruits, robust fragrant coffee, natural freshly squeezed juices, toast, and cereals. It gets even better though. Their breads (white and wheat) are home-made and even baked right there on site. One of their cereals is a fantastic granola blend that they also make by hand and toast on site as well. And if you feel like something more than that, they have an additional full breakfast menu that is available until 5pm. 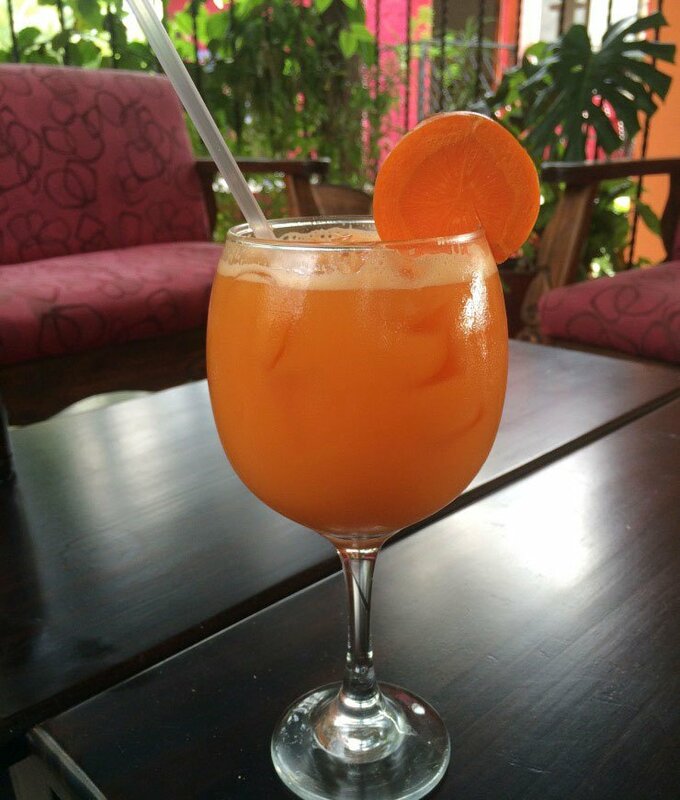 There’s even natural pressed juices, like carrot with orange and fresh ginger, as well as great cocktails and even a happy hour from 4pm – 6pm. Dinner is our favorite dining experience with them. We got to enjoy everything from their mouth-watering lobster night to filet mignon, coconut-encrusted Mahi-Mahi to sesame-coated tuna, coconut shrimp to tuna poke…we could go on and on! And we must make sure to mention that they serve lunch too. We loved their Casados, with fresh rice and beans, salad, freshly made plantain chips, avocado and your choice of fish or meat. They also make great Panini’s, wraps, salads, and smoothies. We’re intrigued by people’s stories. What is it that brings people to a foreign country to live? What are their passions that beckon them to have the business that they have? These are the questions we loved asking Hilda and Simon as owners of the Conchal Hotel. Early on in our stay, they took time to share with us their story over deliciously cold cocktails and beers during their restaurant’s happy hour. Hilda is Venezuelan and American, having spent her time in the US in the Cincinnati area of Ohio. She also spent ten years living in Spain and some time having a business in Florida. This woman enjoys the world! Over the years she has pursued her passion for cooking and today heads up the Papaya Restaurant at the hotel and has a cook book that she is going to publish for the public in the coming years. Hilda came to Costa Rica about ten years ago now and bought a restaurant to run as her own. That is when she met Simon. Simon is from Britain and has spent time living in Greece and enjoying travel. 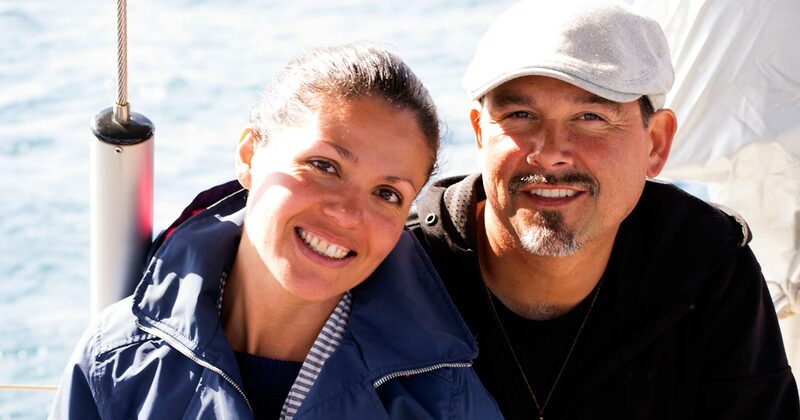 Having owned businesses before, he decided to purchase and run a business in Costa Rica. He came across the hotel as it was years ago and turned it into a great little boutique hotel. His passions are for underwater photography and scuba diving, and in recent years he has taken up some surfing. 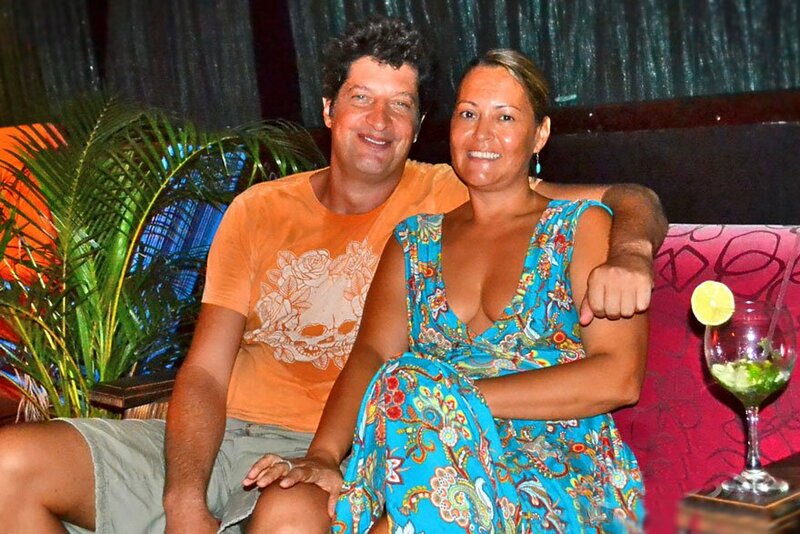 During their early years in Brasilito and Playa Flamingo area, Simon and Hilda met and soon began helping each other at their respective businesses. Back and forth they went, working on each of their businesses together, until they decided to combine the two. 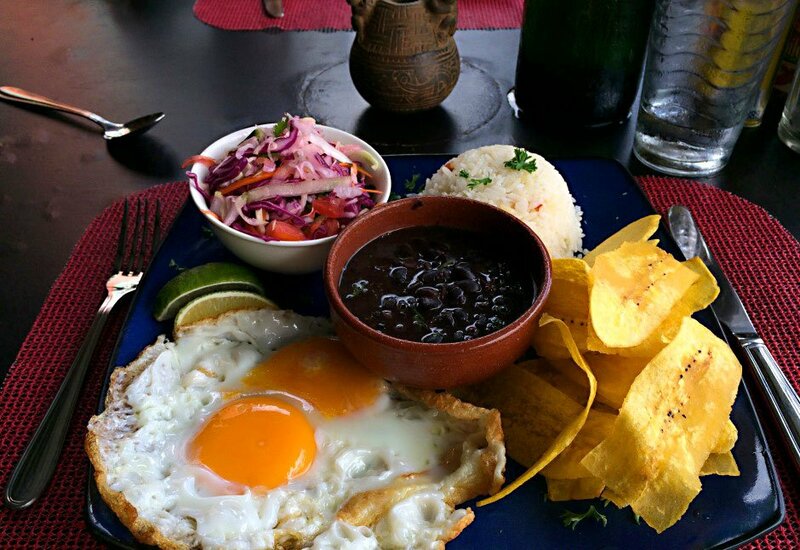 Today, they are known locally and internationally as one of the best restaurants in the entire area and the authentic, quality way to experience the beautiful Guanacaste area of Costa Rica. Together, they create such a positive and welcoming environment and amazing experiences. We loved hearing of how they enjoy traveling and scuba diving together when they take their breaks in the year. In all their interactions with us, we saw their positive attitudes and witnessed how it directly correlates to why their hotel and restaurant is such a success and wonderful place to enjoy. When they told us the story of their hotel and restaurant burning in a fire years ago, they expressed only gratitude and appreciation for how fortunate they were that no one got hurt and how the community came together to help them. They saw the rebuilding after that as an opportunity. Even now, when we think of Hilda and Simon it reminds and inspires us that what we experience in our lives and what we create, is a result of our thoughts and perspective. They always spoke in kind terms, whether it was about people or situations. And we have experienced by being around them how powerful that is. Staying at the Conchal Hotel created so many great memories. We feel that the people and the space became so dear to us because of how welcomed we felt. 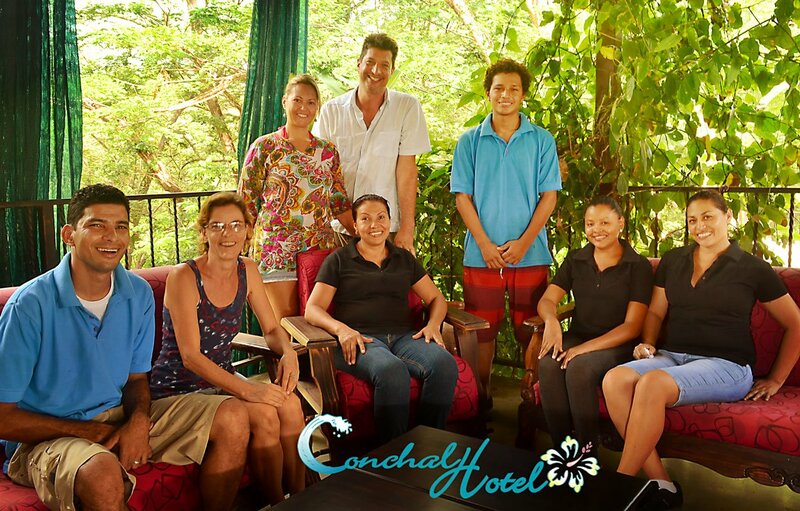 One of our favorite experiences was getting up in the morning to the sound of birds singing and then grabbing a freshly brewed cup of coffee while exchanging a round of buenos dias with the Conchal family (staff). We would then either cozy up on one of the couches in the restaurant corner, where a curtain of deep-green ivy and purple flowers hung, or we would go back to our room’s front balcony that overlooked the courtyard and relax in the chairs provided there. 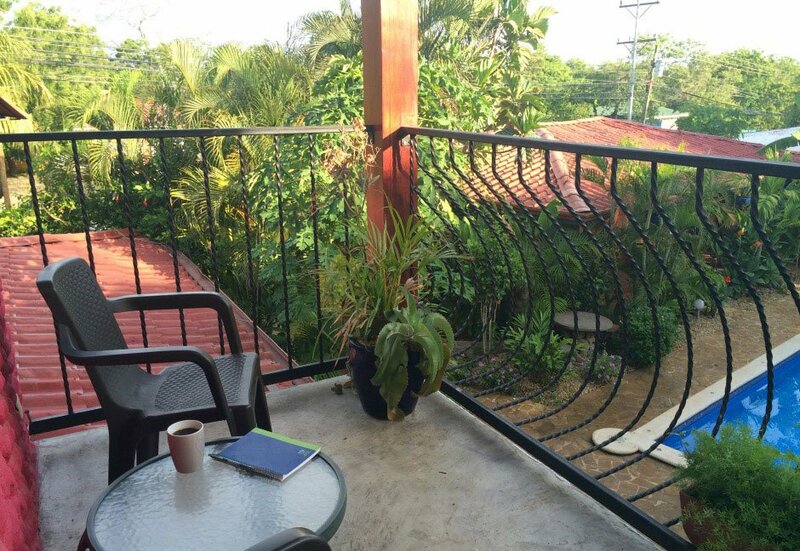 As we woke up with sips of coffee, we would start to spot the iguanas, some of the other local residents, come out on top of one of the nearby roofs or perhaps just below our railing in the lush green foliage surrounding the pool. Quite a few times we were graced by the presence of “The King” who is one huge iguana that loves to sun himself by the pool or climb one of the taller trees. Hopefully now you see why it’s the Conchal Hotel and Papaya Restaurant that will draw us back to this exotic country. We’re pretty sure that if you experience it for yourself, you will treasure it as a discovery and be drawn back as well. Click here to also enjoy the video we created for the Conchal Hotel. their full-service tour desk, events and wedding coordination, and more.